DaySpring offers a unique experience to children through summer camp activities and meaningful programs that are created to strengthen and deepen their faith while also having fun! 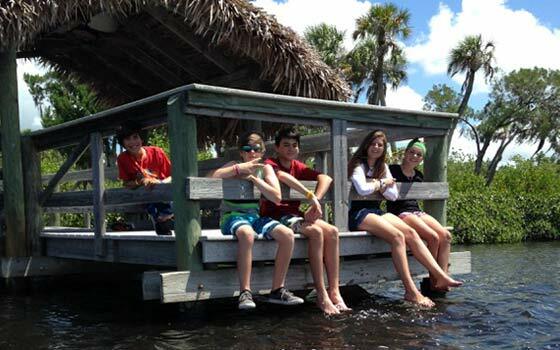 The Youth Sector at DaySpring is a safe and joyful environment with a newly constructed pool and program center, an outdoor game space, and comfortable cabins. Summer Campers experience fun, spiritual, and challenging activities that aim to deepen faith and strengthen friendships. 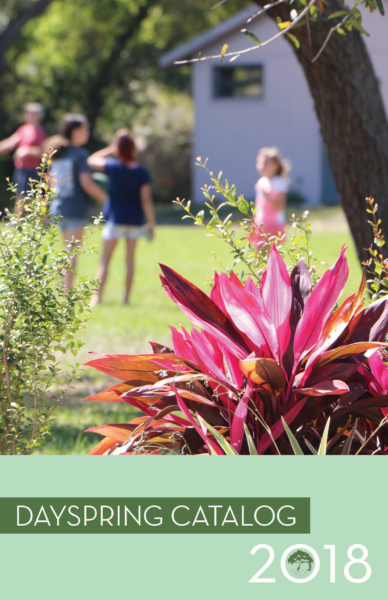 DaySpring is an ideal space for youth to experience the fun and challenging activities that are intended to strengthen their faith while having fun. 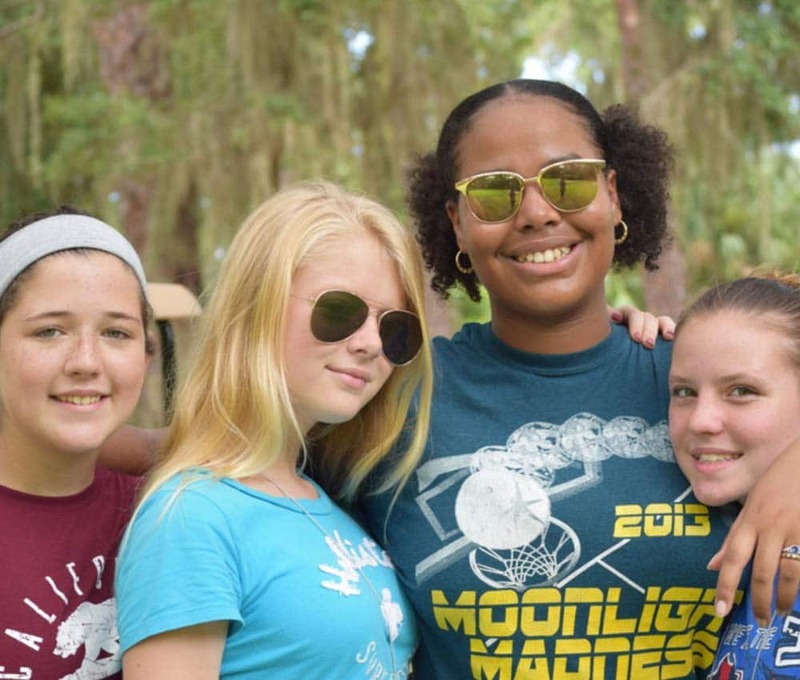 Summer campers engage in activities such as high and low ropes course, canoeing on the Manatee River, sports and games, arts and crafts, and experiencing God’s love through music, worship and community. Finally, let’s not forget the great food! We strive to make DaySpring a unique and joyful place so that young people can make meaningful and long-lasting memories. Summer Camp Registration – Sign up! 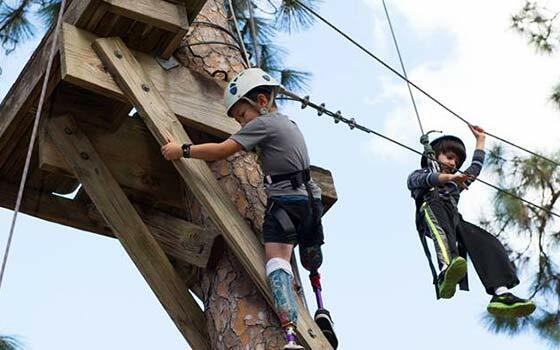 The youth can walk among the treetops with our woodland Canopy Walk or experience our ropes courses, which are each composed of a series of elements which pose a unique set of challenges to those who attempt the journey, and pride of accomplishment once those obstacles are overcome. The outdoor space is perfect for competitive and not-so-competitive activities! 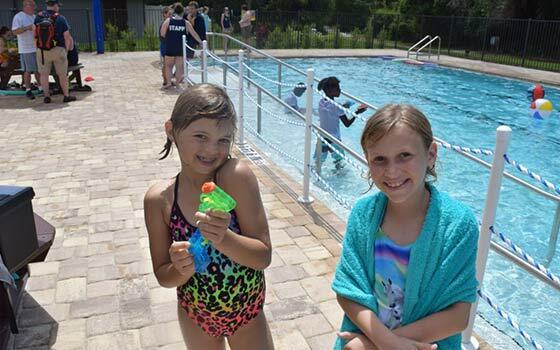 The pool is built with safety and community in mind, and is one of the attractions that campers love the most!